I read Three Cups of Tea by Greg Mortensen a few years ago; it was so inspiring that I thought about donating money to Mortensen’s cause: that of building schools in areas of Pakistan that are under Taliban rule. I didn’t get around to actually donating money, and now I’m glad I didn’t. Jon Krakauer, however, did. He send the Central Asian Institute, Mortensen’s non-profit organization, $55,000. But he got to know some members of the board of directors of the institute and heard some disturbing things. Being a journalist (he wrote Into Thin Air and Into the Wild, among other books), he started investigating Mortenson and his organization and this book is the result. 1) Mortenson claimed to have summited a “half-dozen” peaks in the Himalayas before attempting K2. He didn’t. He summited one, which is considered a tourist or “beginner” peak. 2) Mortenson claimed to have been ill and nursed by health in a village called Khorje; he says that he showed his gratitude by sticking around, healing a few villagers (he’s a nurse) and left promising to come back and build a school. Not! According to his climbing partner, they came down the mountain by jeep, straight to Skardu, then visited a village home of one of their guides and Mortenson promised them a school. Then he broke this promise and built the school in another village, Khorje, which is why he decided to make Khorje his original village in his book, even though he only visited Khorje a year later. 3) Mortensen claims to have been kidnapped for eight days by the Taliban. Actually, he met an Afghani, got friendly, and was hosted by him and his family in their village. These people are very hurt to find out how he portrayed them, and how he twisted this story to make himself a victim and hero. That’s just for starters, although my favourite one is his claim to have visited Mother Teresa in 2000, holding her hand while she lay in bed. That is totally amazing, as she died in 1997. Krakauer likens Mortenson’s literary lies to James Frey’s mendacity in his “memoir” but points out that Frey didn’t solicit millions of dollars from gullible donors to enrich himself. 1) The royalties of Mortensen’s books go to Mortensen and his ghost writer, not to the Institute. 2) The Institute pays for all the advertising (in expensive publications like The New Yorker and The New York Times) and promotion of Mortensen’s book. 3) Mortensen bought thousands of copies of his own book in order to boost his ranking on the best-seller lists, and also for the royalties. He doesn’t buy the book wholesale from the publisher; he buys them for full price from retailers like Amazon because this is how you boost your sales numbers and get lots of royalties. The Institute pays for these books. Mortensen gives them away at his talks. 4) Mortenson gives talks – for $30,000+ a pop, with another $3,000 for travel expenses, even though the Institute pays for his expenses. And we’re not talking about a seat in coach. We’re talking about chartered flights and luxury hotels. Mortensen charters helicopters and jets to fly himself and his entourage around. Nice! So if you’ve donated money to Mortenson’s Central Asian Institute (the board of directors kept on quitting because of the lack of transparency in his financial dealings so now it’s down to Mortenson and two flunkeys) then you’ve paid for Mortensen to promote himself and line his pockets. The schools? Well, Mortenson did build a few. Not as many as he’s claimed to, and certainly not personally, but a few. Unfortunately, he didn’t maintain them nor did he staff them so they are empty buildings. He doesn’t bother going to make sure that his entire raison d’être, his justification for all the fund-raising, the project that has launched him into international fame, major fortune, and nominations for the Nobel Peace Prize! is actually happening. He’s too busy flying around in helicopters to the Telluride Film Festival and figuring out more ways to fiddle the books. This is what happens when you start a cult of personality. According to those who’ve worked with him, Mortenson seems to feel that since he’s the reason money comes in, he’s entitled to help himself. Direct quote from Mortenson in an interview with Outside magazine: “I’m really the only reason CAI can exist right now.” He gloats about the tearful standing ovations he gets when he appears at speaking engagements, about how there are so many people who adore him and want to see him that he fills stadiums and has to be broadcasted on a JumboTron. Real modest. There was an investigation by 60 Minutes about this and there are various stories on the web. I think it’s very telling that Mortenson refused to meet with Krakauer for a taped interview, and that he insulates himself with people so that he is very difficult to contact. Like Chairman Mao (when he was alive, durr)! Because the investigative journalist is Krakauer, I’m inclined to believe him and not Mortenson who has been pretty thoroughly discredited. Shame on him, and shame on us for allowing him to build such a cult of personality and using poor people in Pakistan and Afghanistan as a pretext and stepping-stone to personal enrichment. If you haven’t read anything that made your eyes roll up to heaven lately, this is a good one. It’s classic. Thought I’d share. 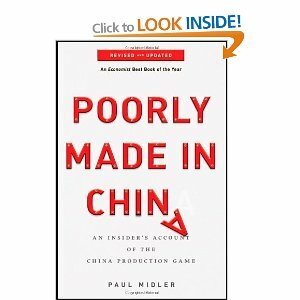 Paul Midler made a few cultural observations in his book Poorly Made in China, which I didn’t detail as it was already a fairly long post. But there was one that I had illustrated for me last night, albeit in a movie, Mao’s Last Dancer, directed by Bruce Beresford. In Mao’s Last Dancer, after the star Chinese dancer Li Cunxin defects to the States, a party hack comes to his parents and accuse them to raising a bad son. His mother is shocked but swiftly counters with: “You took my son away when he was little. Now you’ve lost him? You’ve lost my son? Go find him! Go find him now!” and turns the tables on her accusers, just like that. It was pretty awesome. It’s less awesome when you complain to, say, a customer service rep who happens to come from mainland China and they manage to make you feel that it’s your fault when their company took your money and then failed to deliver. I always wonder how they did that. I’ve been checking the provenance of just about everything in my medicine cabinet to see if it’s made in China. My shampoo, Pantene, is made in the U.S., so that’s a relief. After reading Poorly Made in China, I’m totally paranoid about the products we consume and apply to our bodies. I’m going to go into more detail with this book review because the Canadian government is currently trying to push a trade deal with China through Parliament without any discussion with the public. Most undemocratic and kind of scary, so this book is relevant to the times. Plus, you are not going to believe this! We’ve all heard about the melamine-laced baby formula, and the lead-painted Mattel toys, and the contaminated pet food. Midler’s book gives you a good idea how and why these manufacturing outrages happened. Importers go to China because they’re thinking they’ll get a product produced cheaply and quickly. Chinese manufacturers put on a great show and are very welcoming to prospective buyers. They can set up production far more cheaply than a North American factory can and can get things in motion very quickly. It’s very appealing to the importer. Also appealing is the fact that China is relatively safe, the hotels are fairly cheap (compared to other manufacturing bases in Asia and elsewhere), and there are definitely incentives to business: you can enter China on a tourist visa and do business, and you don’t need a business license. The showrooms look good and the factories appear to be clean and well maintained. According to Midler, it’s a total dog-and-pony show. Importers may think it’s great that their business in China doesn’t require a license, but it doesn’t seem to occur to them that the manufacturers don’t need qualifications either. Sometimes you’re shown samples that come from a competitor: the manufacturer sets up an address in the States, orders samples from a competitor, then brings them back to China and puts them in the showroom as his own samples. You may think you’re talking to the owner of the factory, but it turns out you’re talking to an agent who is posing as the owner. Why is there an agent? Agents get business for the manufacturers; their fees are offset by higher prices. Importers like to “cut out the middleman” so the agent poses as the owner. It’s a lot of gambling to secure a customer, but a manufacturer who is trying to make it can get a start with just one purchase order from a foreign importer. So you make a deal with the manufacturer and it seems great. They take your samples and they can reverse-engineer your product very quickly and ship immediately. But then, a few things happen. One is quality fade. The manufacturer starts cutting corners by reducing the amount of raw material that goes into the product, or they skip a production step, or they compromise the integrity of the packaging and they pocket the savings. Often this quality manipulation is done on a number of levels, across a range of variables, and it’s also done incrementally; the importer doesn’t notice at first so the factory is emboldened to take bigger and bigger bites, from different directions, out of the integrity of the product until they’re caught or there is disaster. When the importer demands the product be at a better standard, the manufacturer uses the opportunity to raise prices. When product is defective, the importer eats the loss. If the importer makes a stand on quality, the factory will engage in a kind of blackmail and threaten to stop production altogether. The cost of shipping the product back to the factory and the subsequent red tape is prohibitive. The manufacturer knows this; they also know that the importer is probably not going to take legal action on the basis of one or two ruined shipments. The manufacturer might offer a discount on future orders; but that means the importer will continue ordering from the crooked manufacturer. At raised prices, of course. All this encourages quality fade. Also, if an importer rejects a shipment, the manufacturer can dump it on the international market – at higher prices. Win-win! There are no punitive damages or penalties in place to make dishonest manufacturers toe the line. In North America, you can sue a company for breach of trust. In China? Nope! I gather that the trade agreement has something to do with protecting investors in China in this kind of situation but I’m interested in how it will work. With the obsession that the Chinese have with “face” I’m thinking it won’t. I have issues with this on so many levels. The fact that they make unilateral decisions about product specifications results in contaminated product – sold to us. There is a total disregard for consumer safety here. Manufacturers are fiddling with products with absolute impunity. Another stunt is pricing. The initial price may seem a good deal, but the factory raises prices bit by bit. They usually wait until a deal is made with a retailer back in the States and a purchase order has been submitted and then they claim the price has gone up. The importer, who can’t exactly go back to the retailer and rejig his deal, just had his profit margin reduced – and in the pocket of the manufacturer. A manufacturer will claim that commodities have gone up in price. Sure, but they also go down and prices don’t reflect this, plus manufacturers buy and stockpile raw materials when commodity prices are low. Another example given by Midler is that of one raw material going up in price, say by 50%, resulting in a 50% increase by the manufacturer – even though that raw material only accounts for 30% of the finished product. What about inspections and lab tests? Well, who’s doing the inspecting? If the manufacturer has to place inspectors the cost is passed on to the importer, plus the inspectors will not be motivated to catch any mistakes. Plus, the inspector is likely to do a walk-through at a pre-appointed time; he’s not going to catch anything that way. If third-party inspectors are hired, again, when and how they’re given access in order to carry out inspections can be manipulated. Lab tests are just as difficult. For one thing, the factory chooses the sample that gets sent to the lab. If a factory thinks their product won’t pass inspection then they just don’t send it. Not only that, but labs are in competition with each other. A more lenient lab is likely to get more business from the factories. The way labs test is also very expensive. Unless you know the substance that you’re testing for, you can’t detect the presence of anything harmful or not up to specifications. You have to test for substances separately and each test costs money. The importer doesn’t want to absorb those costs; neither does the retailer. Obviously the manufacturer isn’t motivated to test their suspect product! What happens? The importer and retailer look the other way. They should know what’s in their product but they don’t. They know what’s specified, but how the manufacturer actually produces the product is apparently the manufacturer’s business. The last point I will detail here is the fact that America accounts for only one-fifth of the product that comes out of China. (Midler didn’t say anything about Canada.) Where’s the rest going? To parts of the world that don’t respect copyright, that’s where! The value that “first-market” importers bring to Chinese manufacturers – and the reason that Americans pay such low prices for items that are more expensive in the rest of the world – is that in North America and parts of Europe, intellectual property rights are recognized and enforced. So a lot of money goes into R & D and design, and also marketing. Chinese manufacturers take a hit for orders originating from a first-market customer, in order to get their hands on this information – because that information can be used to manufacture bootleg or counterfeit items that can be sold at a much higher rate to “second-market” importers, in countries where copyright is not such a big deal, essentially the rest of the world. Now that’s a big market! Not only that, but the manufacturer accrues advantages from the relationship with a big American company. Reputation, credibility and prestige, opportunities to connect with the importer’s customers, information on trends and marketing in the originating country, it all has value. It’s a strategy to sacrifice profits in order to get opportunities down the road. And once that information has been transferred, the manufacturer has a lot of leverage with the importer: costs go up. We’ve all heard the pundits claim that it will get easier to do business with China as the Chinese become more prosperous, but Midler thinks the opposite, based on evidence at hand. As they get more prosperous, they get more leverage and they use it. The advantage of originality possessed by first-market importers? It’s lessening all the time because a lot of it has already been transferred. Anyway – that’s just some of the information that Midler reveals. I don’t have time to provide a complete synopsis, but isn’t this scary enough? I highly recommend this book to anyone who is interested in business, manufacturing, importing, and China. I read this book because I’ve been reading books on China since I was about 16 and have consumed authors from Han Suyin to Simon Winchester on the topic. I’m interested in the culture and history and the business practices described here actually do stem from cultural traits that I’m familiar with from my other reading. I think that a lot of points that Paul Midler points out are significant in a geopolitical sense too. In defense of FIPA, the Canada-China trade agreement, we have politicos saying that we have trade agreements with other countries too, like Sierra Leone, and Lebanon. I’m sorry, there’s no comparison. We’re not worried about running afoul of St. Lucia, or Surinam. We should be worried about clashing with a behemoth like China, though. 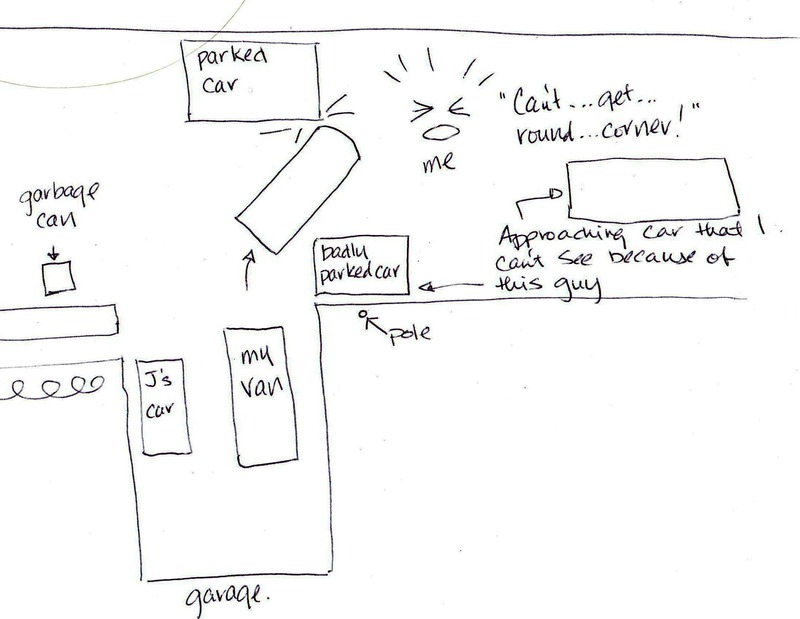 Ironically, in our restaurant business, we’re going through a similar situation right now. A meat company has been trying to get our business for chicken. The sales guy has been bringing samples, which look great, and the prices are super low – too good to be true, which should be a tip-off, right? Our Director of Operations asked our regular meat supplier if he could match those prices. This upset our meat supplier, as you can imagine, as we’ve have a long relationship. He took the time to write an impassioned email about the business practices of this company and why the prices are so low. Essentially, quality fade and pricing issues! My feeling is we should stick with our regular guy, whose prices have held pretty steady over the 10 years that we’ve had a business relationship. And Paul Midler is the reason I’m paying closer attention. Good book, important information. 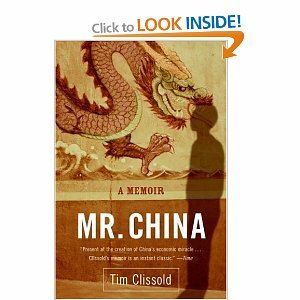 Another book about business in China is Mr. China, by Tim Clissold. It’s of earlier provenance and mostly about the adventures of joint venture investors, in the days when outright fraud was rampant. Now apparently people who get involved in joint ventures just find that their business goes nowhere and makes no profit, while their Chinese partner builds a new factory somewhere else. There are loads; this is my short list. I’ve been fascinated by China for most of my life. I just can’t believe how people have managed to survive the constant political movements, the turmoil, the control exerted over their lives by the government. Part of me feels that the reason Chinese businesses sometimes take the short-term view is because life in China can be so unpredictable. Who can blame them for getting what they can, while they can? I mean, what’s next, right? You never know when the government is going to crack down. Tiananmen Square was a shock to everyone. So I think that these business practices are a logical response to and product of Chinese history and culture.